How to Reduce Your Home Energy Bills? 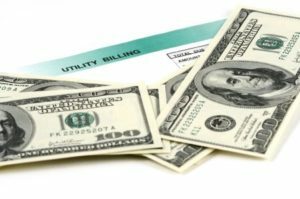 Reducing domestic electricity, heating, cooling and gas consumption is beneficial for every American household in terms of financial savings, impact on the environment, as well as the health of family members. Energy saving tips like switching off lights and appliances when not in use are taught to everyone from an early age. But there are many more ways in which you can reduce your home energy bills and save a lot of electricity. Heating and cooling are major contributors to energy consumption in homes. Make use of ceiling fans instead of air conditioners for cooling as far as possible. Change air filters in air conditioners and heaters regularly. Set your thermostat levels according to the climatic conditions of your region. Turn them down at night and when nobody is home. Even a difference of 5°F can save you about 10% of your heating costs. The average American household spends more than 10% of its energy costs on lighting. Today, many new lighting technologies like light-emitting diodes (LEDs) and Compact Fluorescent Lamps (CFLs) are available, which utilize up to 50% less energy as compared to traditional incandescent lighting. These lights also last much longer than the incandescent bulbs. LEDs are safer as they contain no mercury. You can additionally save even more energy by installing lighting controls that reduce the amount of time that the lights are on. The conventional water heaters with storage tanks found in most houses require more energy to heat and store hot water. Tank-less water heaters provide hot water on demand. In such water heaters, cool water is heated and passed to the tap when the tap is opened. This saves you the waiting time required to allow a storage tank to fill up with hot water and the energy consumed for the same. A typical household generally has many appliances- refrigerators, microwave ovens, washing machines, dishwashers, computers, freezers and the like. Although most of these are indispensable in the house, they consume a lot of energy. You can reduce energy consumption by regularly switching off computers, television sets and microwave ovens when not in use. Unplugging them also helps save ‘phantom energy’ that is consumed by appliances even when switched off. This is especially important in the case of chargers that are often left switched on but not connected to the device. Switch to microwave ovens which require less energy than traditional ovens. Do not place refrigerators and freezers in warm places where they will require extra energy for cooling. Choose energy efficient STAR rated products such as television sets, home theatre systems, speakers, DVD players and others which are approved by the US Department of Energy and the Environmental Protection Agency’s ENERGY STAR Program. According to the EPA, carbon emissions can come down drastically even if just 10% of homes use energy-efficient appliances. By adopting measures to cut down home energy bills, residents can also sometimes receive financial incentives like tax breaks that are offered by local and federal utility agencies, and contribute to environmental protection. Sandium is a participant of the local utility PGE’s Bayren plus home efficiency rebate program.